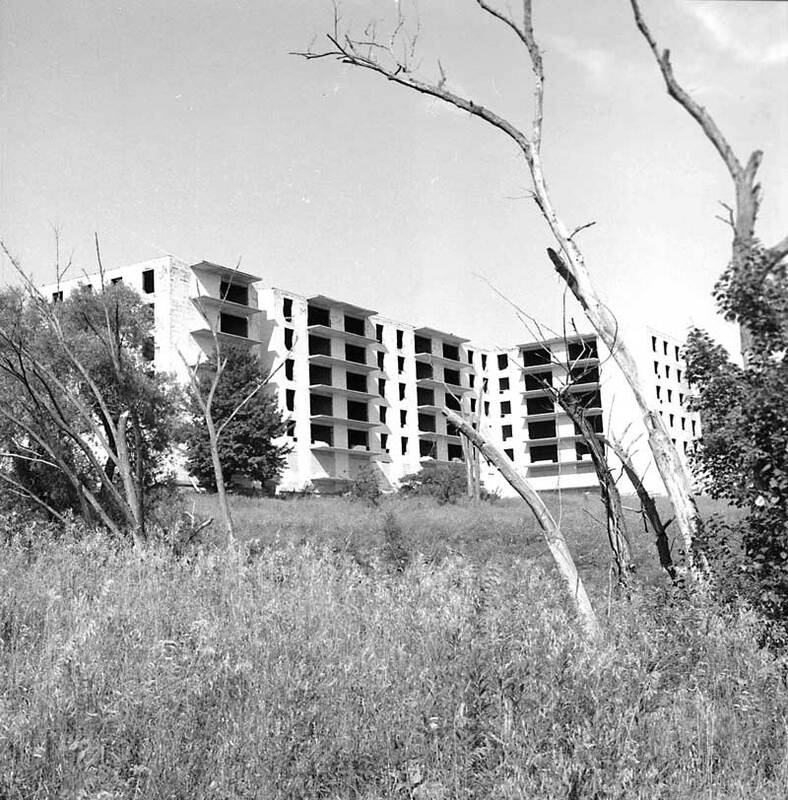 For 20 years, the unfinished Hampton Park apartments, known as the Bayview Ghost, stood at the north end of the Bayview Extension, overlooking the Don Valley. Construction ceased in 1959 when the developers realized that the Township of East York would not service the site with water and sewage facilities. East York claimed the building permit had been issued in error, during a period in which zoning legislation was being updated to control apartment building construction. Agreement was reached only in 1981 to demolish the structure. After two more decades of trying to develop the site, the original owners finally gave up and sold, and the site is only now being developed.